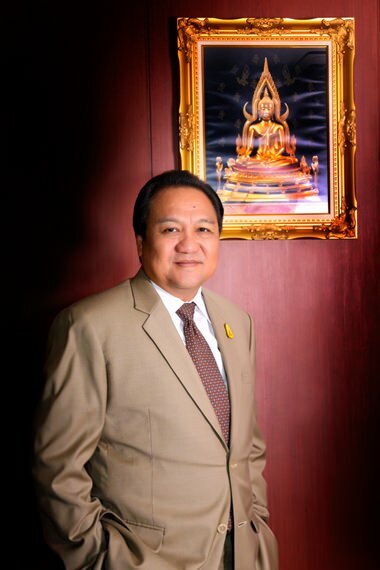 Mr. Thawatchai Arunyik is the new Governor of the Tourism Authority of Thailand. Tourism Authority of Thailand (TAT) executive Mr. Thawatchai Arunyik, who became the new TAT Governor on 22 December, has issued a broad statement of thanks to all visitors who are presently in Thailand, and all those who are sticking to their travel plans in spite of the present state of political flux. Commenting on his appointment, Mr. Thawatchai thanked the TAT Board of Directors for entrusting him with the responsibility. He said he looked forward to working with all industry partners, both in the public and private sectors, in Thailand and abroad, to maintain the momentum and help travel and tourism meet its targets. TAT is anticipating visitor arrivals of 26.1 million in 2013, and projecting 28.01 million in 2014. Revenue projections are for 1.1 trillion Baht in 2013 and 1.326 trillion Baht in 2014. Napan Sevikul (1st left), Chairman of the committee for the photo contest and President of the exhibition “Yang Phra bath Thi Yatra” or “Following in the Footsteps of the King”, along with Dr. Jiraporn Wittayasakpan (3rd left), Dean of the Faculty of Mass Communication of CMU, Dr. Anchan Chompupoung (4th left), a representative of the Royal Project and Orachorn Chanwiwattana (5th left), Area Director and General Manager of Central Festival Chiang Mai introduced the exhibition at a press conference held at Central Festival in honor of the 50th anniversary of Chiang Mai University. For the many people who leave the UK each year to live, work and retire in Thailand, or many popular countries across the world, a decision needs to be made as to whether they will keep their private or occupational pension funds in the UK or transfer them overseas. Since 2006, an individual looking to transfer their UK pension benefits, has been permitted to transfer that UK pension overseas by Her Majesty’s Revenue and Customs (HMRC) on the condition that the receiving overseas scheme is a QROPS. The initials stand for Qualifying Recognized Overseas Pensions Scheme, and it is the only type of overseas pension scheme that an individual can transfer a UK pension to. A UK pension fund would have both been contributed to and grown with the assistance of HMRC tax relief over the years. HMRC therefore expects those funds to provide an income in retirement. However, as other jurisdictions in the world do not have the same internal rules for their pensions, HMRC made the decision that UK pensions could only transfer to an overseas scheme that agreed to pay out benefits with the same limits as UK schemes. This must be for a period of at least five complete UK tax years of the pension member’s overseas residency (a period of time now referred to as the Member Payment Provision Period). The limits would include any pension benefits not being paid out before retirement age 55, with pension income not exceeding the UK limits and the lump sum payable not exceeding 25% of the total fund’s value. Benefits paid before retirement age, 55, or in excess of the UK limits, would be subject to an unauthorized payment charge. However, providing the pension member (and the QROPS) stays within the UK regulations for five complete tax years of the member’s overseas residency, there are many benefits and advantages of transferring from a UK pension to a QROPS. A key reason to transfer to a QROPS is tax treatment on the pension. Pension income paid from a UK pension (either through drawing from the fund or purchasing an annuity) would be subject to tax at source, when paid from the UK scheme, or subject to tax upon receipt in the country that the member lives. Depending upon where an individual has migrated to, the local rules of some QROPS could allow either a nominal or nil tax to be deducted from the income at source and no tax required to be paid upon receipt. Many people assume that transferring their UK pensions to a scheme in the country that they are living, is the right solution. This is not necessarily the case. Firstly, the country that they are living in may not have any pension schemes (or the equivalent) that are QROPS – therefore a UK pension transfer could not be received. Secondly, the benefits available from a local scheme may not be any greater or tax efficient than if paid from the original UK scheme. In recent years, the most popular QROPS are in Gibraltar, Malta, Isle of Man and New Zealand. The local pension rules for each vary and each jurisdiction has Double Tax Treaties with different countries, therefore it is important to establish what benefits are important to you.Among the benefits available, after the five years of overseas residency, are higher income levels than permitted from UK pensions, enhanced lump sums (usually up to 30%) and zero tax paid on death benefits to beneficiaries when a pension is in payment. This can be up to 100% of the remaining fund. UK pensions would either tax the beneficiaries 55% on any lump sum or (in the case of some annuities) the pension would stop altogether upon death of the member. With the various benefits and options available, it is important to seek the correct advice before deciding on transferring your UK pension to a QROPS. The Candle Light Museum at the Mae Fah Laung Art and Cultural Park will be open until January 31, 2014. 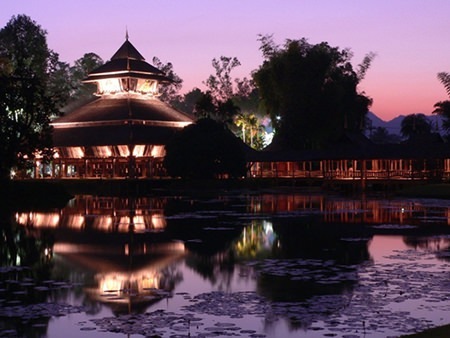 The Tourism Authority of Thailand (TAT) is inviting international and local tourists to visit the special “Candle Light Museum” at the Mae Fah Luang Art and Cultural Park in Chiang Rai. The Candle Light Museum is the first-ever exhibition of its kind as candles are lit to spectacularly illuminate the exquisite wooden Lanna-style candlesticks and artefacts aged over several hundred years. Visitors will also be impressed with the romantic atmosphere around the art and culture park as the candles are lit to illuminate the entire premises. The Museum, which is set to exhibit until 31 January, 2014, is open daily (except Monday) from 10:00 – 22:00 hrs. Saturday, Sunday and public holidays will be more special as visitors will be served with complimentary welcome drinks and will have the chance to enjoy Lanna traditional performances, which are organized twice a day at 19:30 and 20:30 hrs. The new exhibition shows the character, philosophies and working principles of the Royal Family, and their diligence to find ways to improve the lives and livelihoods of the Thai people in all corners of the Kingdom through simple but effective works. It also shows how the members of the Family inspired each other, and how their examples can inspire so many others. 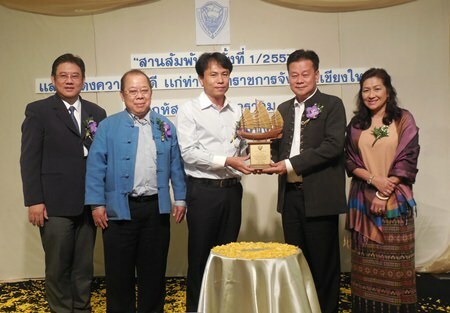 Governor Wichien Puthinwinyoo receives the Golden Boat Award from the Thai Chamber of Commerce for his work in promoting business during his time as Governor in Nonthaburi. The Chiang Mai Chamber of Commerce awarded Chiang Mai Governor Wichien Puthiwinyoo the “Golden Boat Award” on behalf of the Thai Chamber of Commerce on Thursday, January 16, 2014 at the Imperial Mae Ping Hotel Chiang Mai. 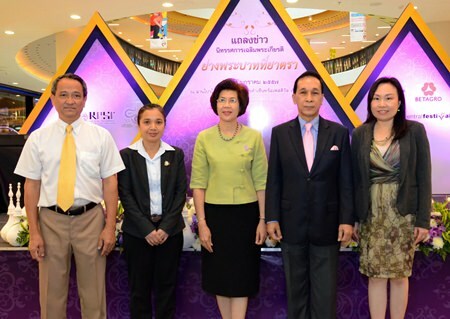 The awards ceremony, which held in Trang in November 2013 at the Thai Chamber of Commerce’s 31st annual meeting, saw 9 individuals receive the award for outstanding service. Governor Wichien received the award for his work in promoting Nonthaburi during his four years as Governor in that Central Thailand province. The Chairman of the Chamber of Commerce, Kitsana Vachekrilas, traveled to Chiang Mai to present the award personally, telling the gathered Chamber members of the hard work and dedication Governor Wichien showed there. Chairman Kitsana talked about the improvements under his guidance; flood control and traffic guidance. He noted that when Nonthaburi faced flood problems he stepped in personally to find solutions. He concluded that even though Chiang Mai is bigger with more people he believed Governor Wichien would do as good a job for Chiang Mai as he did for Nonthaburi. Kitsana Vachekrilas was then joined onstage by President of the Chiang Mai Chamber of Commerce Chalermchart Nakarungkul and former President Narong Kongprasert to award Governor Wichien the Golden Boat award from the Thai Chamber of Commerce. The Myanmar based airline Asian Wings Airways plans to fly from Mandalay Tada –U International Airport to Chiang Mai International Airport every Wednesday, using an ATR 72-500 aircraft. 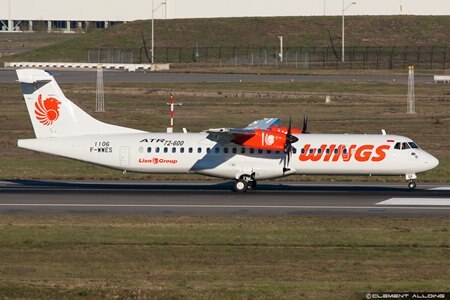 Asian Wings Airways is currently flying to 16 destinations from Yangon with two ATR 72-500 aircrafts.